Science fiction can sometimes get a bad rap – it can be hard to relate to stories with unstoppable alien invasions, or time machines made of steel. I understand if the genre has previously left you cold or made you think ‘it’s not for me’; after all, the stories most likely to move us (and break our hearts) have real emotions, true love, and genuine scenarios we might even find ourselves in one day. And, most often, those tales are set in the real world. Personally, I also need someone I can root for – so when I’m watching a film, TV show, or reading a novel, I want to cheer on a kickass female character, with her own agency and in charge of her destiny, or I want to love to hate an archetypal bad boy… who might even end up being a white knight. What I’ve learned is that the best sci-fi and fantasy has all of these things. Devices like interplanetary travel or an epic, dystopian war can simply be a way to raise the stakes – very human characters will still be fighting for recognizably human connections, like getting back to their family or keeping their loved ones safe. Science fiction and fantasy can do this brilliantly. Here are five of my favourite, most heartrending moments in sci-fi and fantasy… Did any of these make you cry, too? The multiple Academy Award®-nominated film Arrival chronicles the appearance of aliens on Earth, and stars Amy Adams as a foreign language translator (Louise Banks) who must find a way to communicate with the other-worldly visitors. But honestly? It’s not really about that. Based on the award-winning science fiction short story The Story of Your Life by Ted Chiang, what this story is really about – and what the short story’s title refers to – is the on-going conversation between Louise and her daughter. 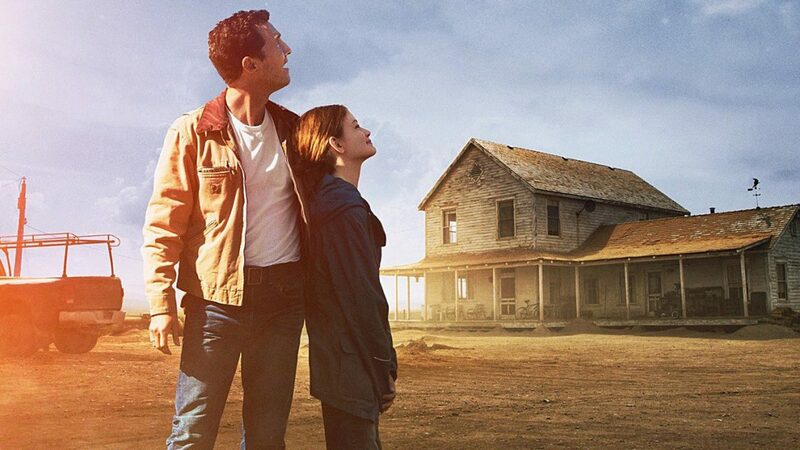 To say more would be to spoil it, but this film has an ingenious, heartbreaking structure, and when you realize what is going on it is a genuine ‘lightbulb’ moment – followed by buckets of tears. Arguably one of the best fantasy series ever written, His Dark Materials follows Lyra, Will, and an enormous cast of characters as they explore a world ruled by the Authority, populated with witches, daemons, and talking polar bears. Sound a bit too much? It’s actually a re-interpretation of Paradise Lost and touches upon the story of Adam and Eve; every character has a driving desire or ambition, and it is frequently the clever, fantastical world-building that keeps these brilliantly drawn characters away from what they want. A series of three books, with a new installment due for publication this year, the culmination of Lyra and Will’s story has me bawling and I re-read this series every few years. When The Dark Knight director Christopher Nolan had an idea for his next film, based on a script written by his own brother, Nolan turned to his close friend and frequent collaborator, the composer Hans Zimmer, with a simple request: can you write a musical theme about a child pleading with their dad to stay? When Zimmer played back a yearning theme on the piano, Nolan knew he had to make this science fiction film. Yes, it’s about the end of the world, interplanetary travel, black holes and relativity – but most of all it’s about the endurance of love, and the close and special relationship between a father and his daughter. Oh, my heart. This is a speculative literary novel by a multi-award winning author, about a group of students who, you discover, have been born for a very special purpose in life. The story follows a love triangle between Kathy, Tommy and Ruth as they grow up together first through boarding school, then living in a complex of desolate cottages, and then, as they reach the right age, in futuristic white hospitals. The novel deals with the nature of love, self-worth, and identity, and has moments of sheer wistfulness as the characters contemplate what makes them different to others – I have honestly never read a more yearning and bittersweet story than that of poor Kathy and her friends, helplessly wondering if there is any way to overcome the purpose for which they were made. When the much-beloved TV show recently celebrated its 20th anniversary, a lot was said about the rarity and specialness of a female-led show like Buffy in the Nineties; how lucky we were to have such empowered feminism on our televisions as we were growing up. Sarah Michelle Gellar played the lead, who had to learn how to follow her written-in-the-stars destiny, while simultaneously rebelling against it. A lovely touch in Buffy’s well-rounded characterization was the vampire slayer’s knack for falling in love, Romeo & Juliet-style, with her sworn enemy: first, the vampire Angel, then later her nemesis, Spike. Is there anything quite as heartbreaking, in any type of fiction, as a great love that, simply, cannot be? Katie Khan is the author of Hold Back the Stars. Follow Katie on Twitter and Instagram @Katie_Khan. Katie Khan is a writer from London and graduate of the acclaimed Faber Academy writing course. She also works for a film studio in the United Kingdom. Hold Back the Stars is her first novel. Follow her on Twitter and Instagram @Katie_Khan.